Winchester Train and Defend is a no-brainer for new and experienced shooters alike. So one of the neatest things at SHOT Show Media Day at the range was not even a gun! What??? High on my to-do list for the day was to actually shoot the new Winchester Ammunition Train & Defend ammunition. The idea is simple. 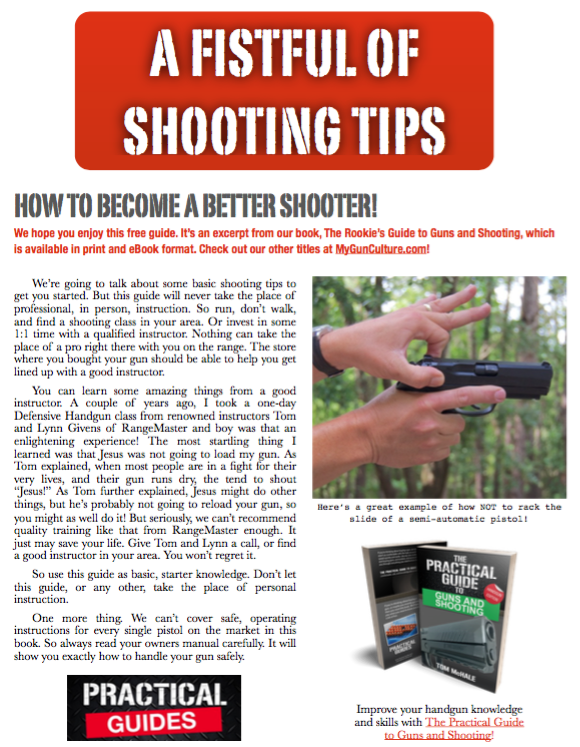 Create matching loads where the bullet weight and recoil are virtually the same. Practice with the less expensive full metal jacket stuff, then load your gun with the hollow point version when carrying or using your gun for home defense. Look similar? These two .38 Special Train and Defend loads should! The neatest thing about this ammo is that it’s designed to be low recoil for controllability. The hollow point projectile is designed to penetrate and expand at lower velocity, so it still works. Dr. Rob Pincus extracts some .38 Special rounds from the gelatinous pig juice. Unlike most ammo tests in front of large audiences, Rob Pincus and the Winchester Ammunition folks did it right. They used 4 layers of clothing per FBI testing protocol. It makes a big difference. Any bullet will expand in pure gelatin, but adding the clothing layers helps separate the men from the boys. As you can see by the photos, penetration was excellent and expansion perfect. I’m thinking this will be excellent ammunition for short barrel guns where velocity is a bit lower than standard. I’m anxious to try this out. More to follow.